Living long-term in different countries around the world is one of the real perks of being a digital nomad. Of course we love to travel, that’s why most of us got into this business in the first place, but there’s so much to say about spending a few months in a destination, renting an apartment and living like a local for a while. During our 10 years on the road, we’ve lived in dozens of places. Sometimes for a month, sometimes for 6 months, it all depends on how we’re feeling at the time. Often we end up putting down some temporary roots because we’ve been travelling too quickly and we need a break, or sometimes we’re pet sitting, or we just need to get caught up on work so we rent an apartment. Through our own experience, we’ve found a lot of places where you can live on less, while experiencing more. While our own personal budget is higher than $1,000 USD per month, we know it’s possible to live off of that, or less, in the places I’ll list in this article. For a point of reference, I’ll also use the online cost of living tool, Numbeo, to give these prices a bit of “proof”, but I’ll also mix it in with my own personal experiences based on spending we have done in the countries. I’m listing countries in this article because for the most part, you can live in any part of the country for the prices I’ve expressed, but I am going to focus on the main cities that I would recommend living in each country. These are typically cities with a decent amount of amenities, a thriving expat community and plenty of good restaurants and places for remote work. We usually find our apartments on Airbnb. If you Click Here and set up a new Airbnb account with a new email address, you’ll get a $35 credit and we’ll get some rental credit too. It’s a win-win. This article is for all of those digital nomads out there (like us) who are always looking for new, amazing places to live, where their dollar can stretch a bit further. It’s also for those people who aren’t digital nomads (but maybe aspire to be one day), who just want to spend longer in the places they visit, or for those who simply are interested in learning about where they could potentially move to that would be exotic, exciting and affordable. Note: All prices are in US dollars. I’ve included the prices using Numbeo, the world’s largest online cost of living index website. I’ve also included costs in our personal experience. The Numbeo numbers are likely as low as you’ll find, while our own budget is usually more mid-range. The visa information is based on our Canadian passports. Always check the visa policy before booking a trip. Indonesia is one of the most beautiful countries we have ever visited and it makes for an excellent base in Asia. We set up a base in Canggu Bali for 3 months where we enjoyed a luxury pool villa, wonderful international restaurants, a cool entrepreneurial vibe and plenty of travel to nearby islands. I started this list with Indonesia because this post is all about affordable destinations to live in and, well… there’s nowhere more affordable than Indonesia. 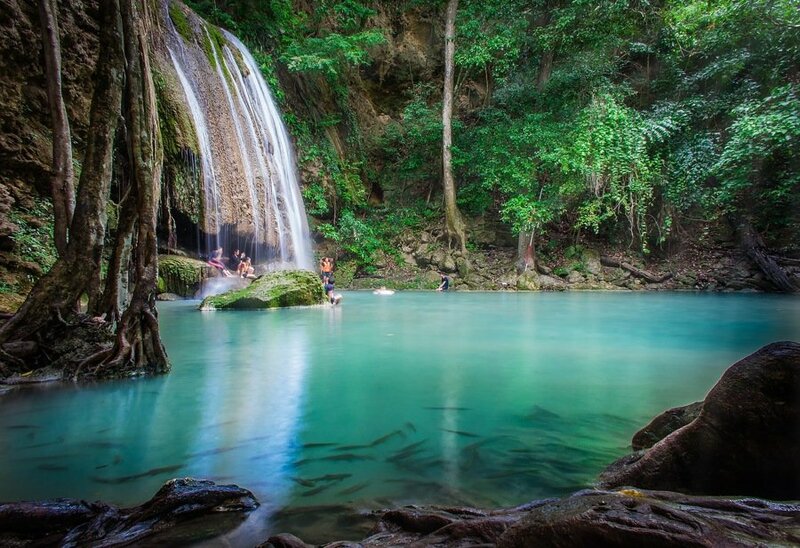 The only places on this list than might rival Indonesia for the best value for money are Chiang Mai, (Thailand), Greece and India. But because Indonesia has such amazing accommodation options, wonderful (and affordable) international restaurants and cheap flights in and out, I have to say that it’s the most budget friendly option that I currently know of. The best island for quality of life in Indonesia is likely Bali. The prices here are a bit higher than many other places in the country, but there are far more amenities and plenty of expats around, which creates a market for the things that foreigners love. The south of Bali is very busy, and more expensive, but it’s where you’ll find the most grocery stores, accommodation options and restaurants. If you’re looking for a more quiet, natural, Balinese experience, then you may want to choose a place in the north or east ends of the island. 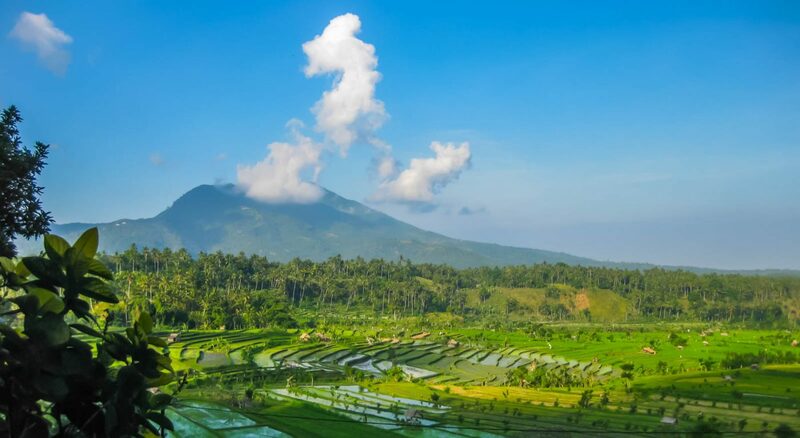 Ubud is central Bali, but it’s similar to the south in that it’s extremely busy. If you’re a digital nomad, Canggu is the place to be. Here you’ll find endless cafes with blazing fast wi-fi, blogging conferences, co-working spaces, tons of beautiful villa options and lots of places to rent a motorbike ($50 / month). One downside to Bali, particularly the coastal towns on the southwest coast (like Canggu), is that during the off-season the tides bring in a disgusting amount of garbage that piles up on the sandy beaches. Also, runoff from the mountain villages means that raw sewage spills into the ocean and makes it unsafe and unsanitary for swimming. The outside of our villa in Canggu Bali – we loved this place! These are issues that the local people of Bali are working hard to remedy, but they’re still not fixed so I recommend visiting / living in Canggu, only during the high season from May – September when the beaches and water are clean. Thailand is the only other place we’ve ever rented a luxury private pool villa. We have lived in Koh Samui, Koh Tao, Koh Phangan and a short period in Bangkok (on many different occasions). 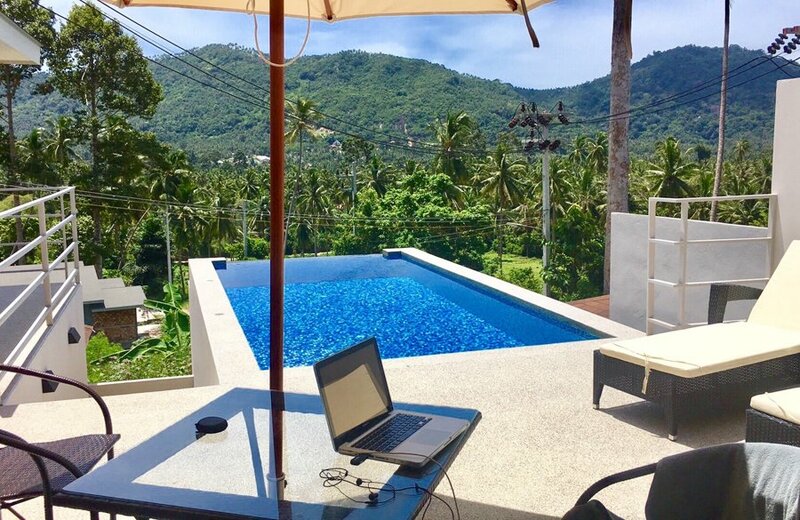 There are quite a few villa accommodation options in Koh Samui and Phuket, with fewer in Koh Phangan and very few in Koh Tao. Bangkok has plenty of beautiful apartments available as well and of course, Chiang Mai (a place we’ve only visited, but never lived in) is currently the Digital Nomad mecca. We know from our friends’ experiences that it’s quite easy to find a nice 1-bedroom place in Chiang Mai for $200 / month or less including all bills. That’s pretty amazing. 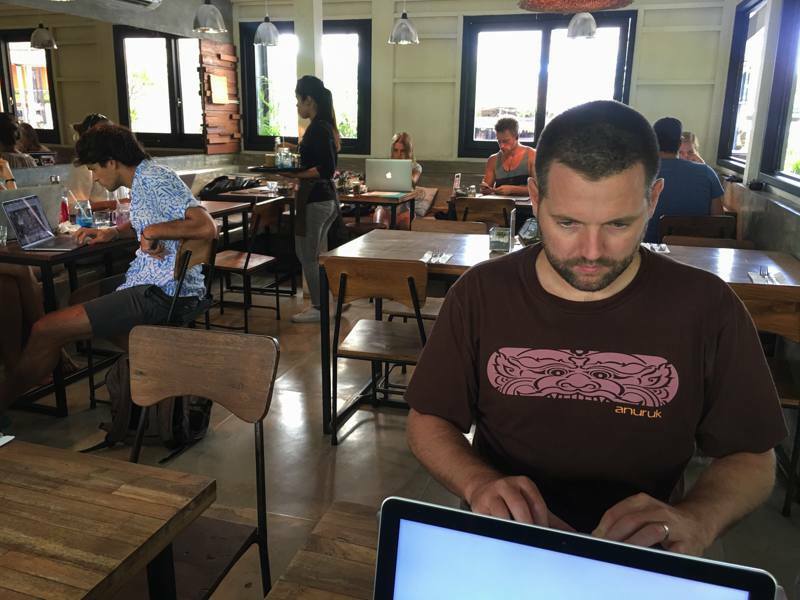 The internet in Chiang Mai is blazing fast and there are probably more bloggers and web entrepreneurs here than anywhere else. Our favourite island to visit in Thailand was probably Koh Phangan. We rented a little beach bungalow here for a month and it cost us around $600. But for actually living, I think that the best options are Koh Samui (if you want island life) or Chiang Mai and Bangkok (if you want city life). There are quite a few villas and more basic accommodations in Koh Samui. If you choose to book through Airbnb, you’ll probably find the prices to be quite high. Try to contact the owner outside of the platform to negotiate a price, just beware of Airbnb scams before sending any money. View From Our villa in Koh Samui. There are quite a few digital nomads and expats living in Bangkok and it’s probably one of our favourite cities in the world. For living, the best areas are Silom and Sukhumvit where there are great gyms, restaurants and cafes as well as plenty of parks and green space to escape the traffic. Visa Situation: 60 Days e-visa. 6 month Tourist Visa. Cannot stay in India for more than 6 months in a 1 year period. You won’t find “Our Monthly Budget” or “Our Utilities” in the above list of prices because we’ve never actually lived in India. We’ve travelled the country for nearly 6 months in total, but we never had the urge to settle any temporary roots in this beautiful, chaotic and spiritual place. 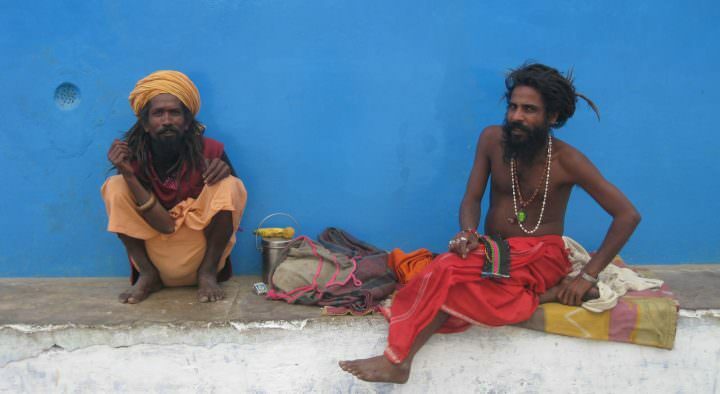 India has always been one of our favourite destinations as it epitomizes everything we love about travel. The country puts together an addicting blend of culture, chaos, religion, history, architecture and cuisine and mixes it into a formula that’s as intoxicating as the sandalwood incense that always brings me right back to India whenever I smell it. If we were to live in India for an extended period of time, without a doubt it would be in Goa. Here, everything is a bit more liberal, the men are used to seeing women in bathing suits, there’s less harassment and there’s a slower beach vibe. We have friends who have lived in Goa for years and they love it. There is plenty of night life, lots of restaurants (Indian food is a reason to move to India in itself) and the wi-fi is decent. There are also quite a few accommodation options and India is definitely the one of the cheapest places to live that’s included in this list. Even if you’re booking on Airbnb (typically more expensive), there are still dozens of nice apartments available for under $400 USD per month. By searching in Facebook groups and online communities, you could easily find a nice one-bedroom here for under $200 / month. 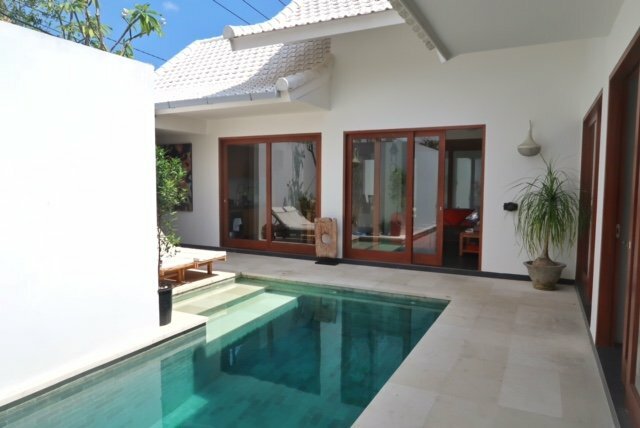 There are also some gorgeous luxury pool villas available for around $1500 / month. And, check out this post from our friend Rachel who shares what a day in the life of an expat in Goa looks like. Internet Speed: Decent (20mbps+) *Many blocked websites. Get a VPN. China is probably one of the most underrated backpacking destinations on Earth, but what about as a place to live? We spent over a year living and teaching English in the beautiful city of Yangzhou in eastern China. We also had friends who lived on the outskirts of Shanghai and loved it. There are some obvious downsides to living in China. The pollution comes to mind first. There were some days, even in Yangzhou, that we couldn’t see 10 feet in front of us because the smog was so bad. This problem is even worse in Shanghai, Beijing and Chengdu. Most of the time though, the skies where we were living were clear and there are parts of China that are further away from industry and suffer from little or no air pollution. For the most part though, travellers, teachers and expats focus their time on the east coast of China. This is where there are the largest cities and the most amenities. China is an incredible destination. There’s a lot of history here, a great vibe, friendly people and some of the best cuisine on the planet. 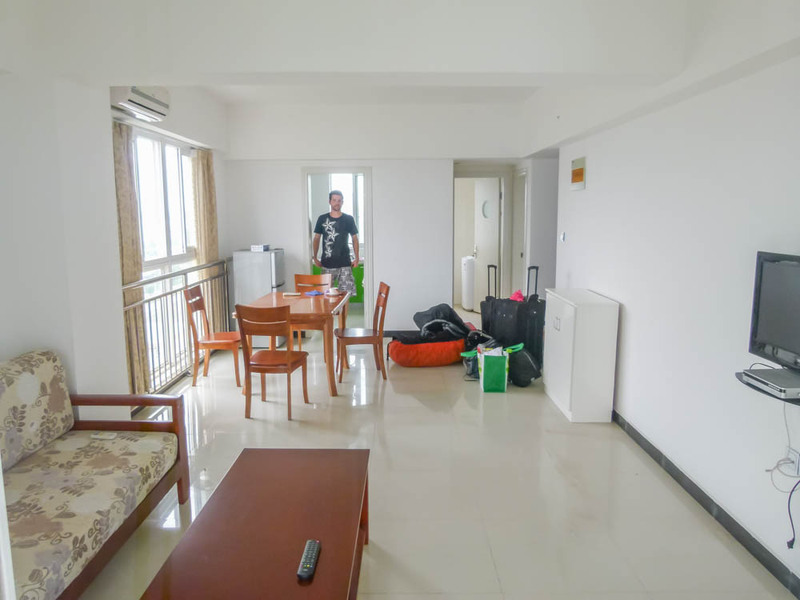 We absolutely loved our time living in Yangzhou and we were able to live on far less than $1000 per month (even as a couple). Dining out in China is really cheap. You can usually have a filling meal for under $5 in a restaurant, while some delicious street food meals (like dumplings, cold noodles and stir fry) can sometimes be found for $2 or less. For teachers looking to live abroad and earn money, China is probably the best destination in the world for availability of work and quality of life. There are plenty of jobs available paying between $1,500 – $5,000 per month and most contracts include accommodation, flights, insurance and bonuses. Not interested in actually moving to China to teach? You can teach English online! While we’ve never actually lived in Malaysia, we’ve always wanted to spend a few months in Kuala Lumpur. Ever since we fell in love with this buzzing capital during our first trip back in 2008 – 2009, we’ve wondered what it would be like to live in Malaysia. There are plenty of great places to choose to live in Malaysia including Langkawi Island, Georgetown and Kuala Lumpur. You can find decent prices on apartments on Airbnb and in local Facebook groups, but they’re definitely a bit pricier in the capital. If we were to move to Malaysia, we would choose to base ourselves in KL. There are great accommodation options, excellent public transport and tons of bars, restaurants, cafes and nightlife. Also, KL makes for possibly the best base in this list if you’re looking to travel to Asia and the rest of the world. This is one of the most affordable and well-connected airports and if you keep your eye on AirAsia.com for deals, sometimes you can fly to other countries in Southeast Asia for as little as $10. Malaysia recently implemented the MM2H Plan (My Malaysian Second Home) to try to encourage foreign investment and expat retirement in the country. If one were to invest $100,000, they could be fast-tracked to Malaysian residency and eventually citizenship. Even if you don’t want to become a resident, the visa situation here is great. Most countries get 3 months on arrival and you can extend for 60 days more for around $23. But, because flights are so cheap to nearby countries like Thailand and Singapore, many expats just choose to have a quick “vacation” in another Asian nation before returning to Malaysia for a new 90 day stamp. If you’re looking for a country with plenty of options of where to live, then the 7,000+ island archipelago of the Philippines is probably right up your alley. You could spend a few months in Palawan, then move to Cebu for a bit, Luzon and continue island hopping and living in different places for years and never return to the same place twice. A friend of ours currently lives in Cebu and him and his girlfriend pay just $120 per month for a one bedroom apartment. 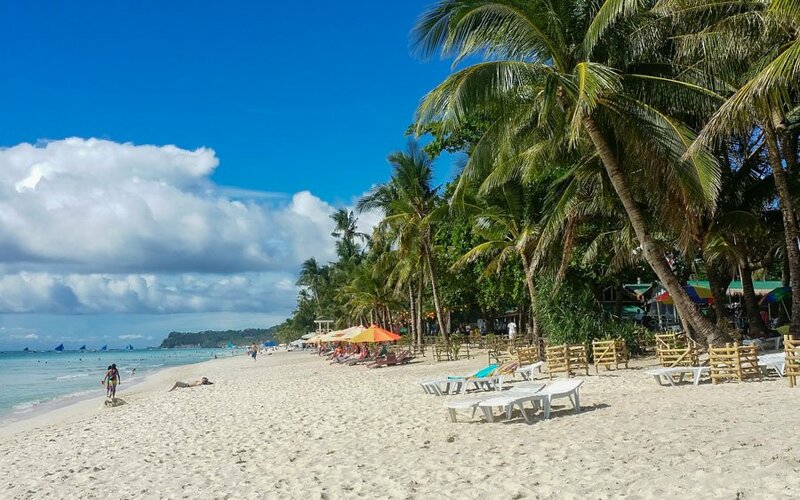 The cost of living in the Philippines is incredibly low and there are hundreds of places you could visit on holiday (including the best Philippines beaches!) within a 30 minute domestic flight. One downside to the Philippines would be that the cuisine isn’t as diverse as some of its South Asian neighbours, and the internet isn’t the greatest. But it’s incredibly affordable, the people here are extremely friendly and if you’re into scuba, it boasts some of the best diving in the world. Our current home (at the time of writing) and our favourite island on Earth. 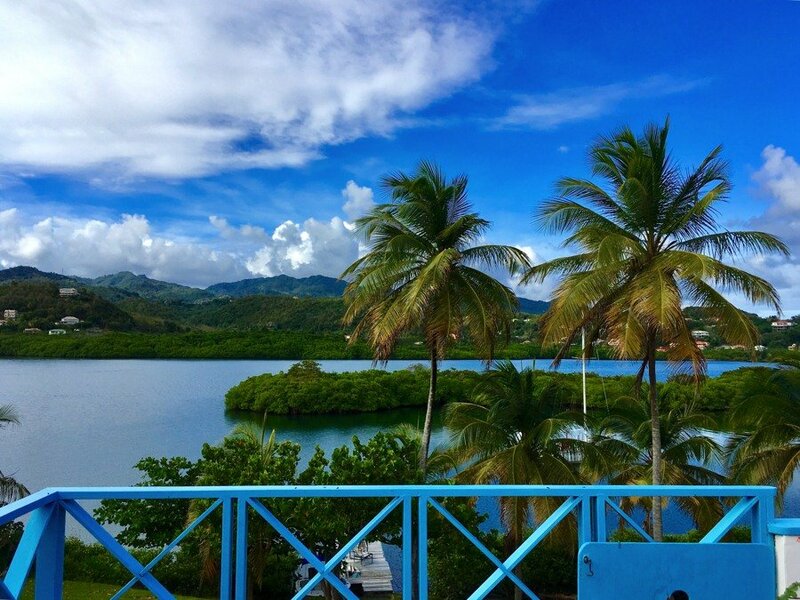 The lush, spicy Caribbean island of Grenada has everything one could ask for. Lovely people, breathtaking beaches, pristine nature, a decent amount of international restaurants and an intoxicating vibe. It’s no wonder why Dariece and I have set up shop here on 4 different occasions currently spanning 2 years in total in the country. For us, the island is great, but for some it may seem a bit too rustic and there aren’t a lot of “sights”. If there’s anything lacking from Grenada, I would say it would be wine (it’s expensive and poor variety) and customer service (typically grumpy and slow). Other than that, the Isle of Spice has it all. The visa situation is easy, there are plenty of amenities, a good (but expensive) selection of groceries and nice apartments available. If you want to live down in Grand Anse and L’Anse Aux Epines (the main beach / tourist areas), then you’ll probably pay at least $1,000 per month for an apartment. But if you rent a bit further up island (like us), you can find some decent 1 bedroom places for around $400 / month. Currently we’re staying in a beautiful 3 bedroom house right on the water with a private pool for just $1,300 per month. We definitely got a good deal because we know the owners, but during our research, we found many apartments under $1,000. Some right on the sea for $1,200 or less and a few smaller, more basic places for under $400. 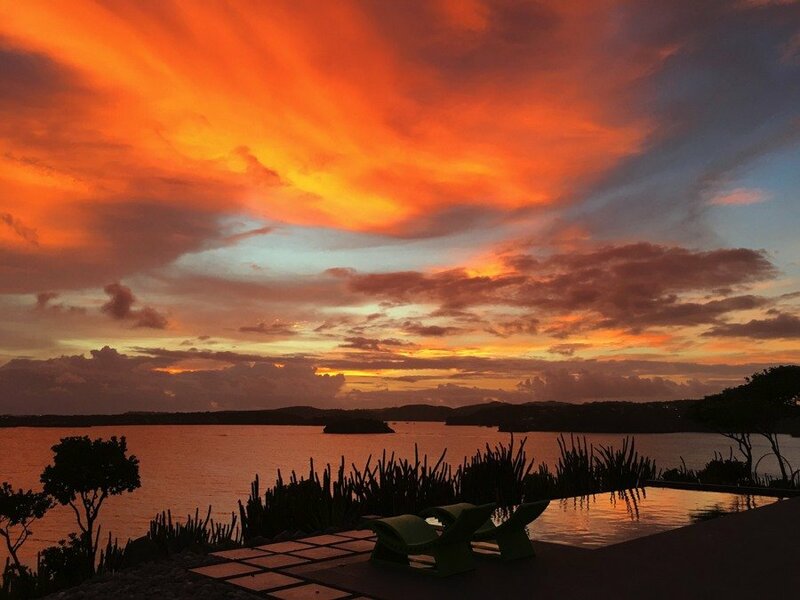 Thanks to the university on the island (with many American students) and a large yachting community, Grenada has just enough of the things you miss from home, while still feeling like an authentic Caribbean island. Mexico is another place where you have so many great options for living. Many digital nomads seem to congregate around Oaxaca and Playa del Carmen in the south, but we prefer Puerto Vallarta and the nearby surf towns of San Pancho and Sayulita on the west coast. Alternatively, we’d probably live in Guanajuato, Merida or Valladolid. There are just too many great options in Mexico! For North Americans, the visa situation is excellent, there are plenty of apartments available for under $300 per month, the food is incredible, the people are some of the friendliest on earth and there’s an amazing culture and history here. Mexico is definitely a place of its own. 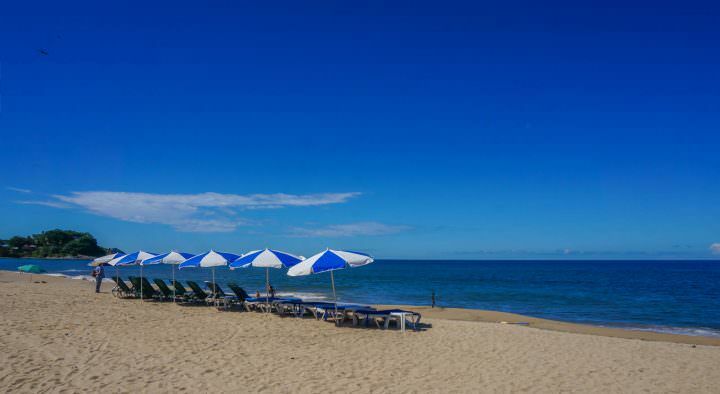 We’ve lived in Manzanillo and San Pancho so far, but if we were to return we would definitely put down roots in Puerto Vallarta for a few months. We love this city. The touristy part of town is okay, but it gets a bit exhausting after a while. We love centro the most. Leaving the tequila salesmen and two-for-one margaritas behind, the grid like cobblestone streets and colorful neighbourhoods of López Mateos and Agua Azul are our favourites. We have never lived in PV, but we’ve planned to on numerous occasions. During our apartment shopping, we found plenty of beautiful little places, right in centro for between $300 – $800 per month. We met one American expat there who had a small little studio apartment in a cool neighbourhood for just $120 / month. We visited Colombia in 2016 and we completely fell in love with it. We met some great friends there who we’re still in contact with today. We explored the rainforest, hiked to waterfalls, got lost in the streets of Medellin and found ourselves wanting to live in Cartagena. Of course, as with living in many South and Central American cities, there is often a stigma around safety and security in this part of the world. While we did feel safe in most of Colombia, if we were to live here we would definitely be sure to choose a good area and heed advice from the locals on where, and where not to go. Having said that, Colombia really doesn’t fully deserve its reputation of old. Today, the country is doing its best to shed the tumultuous past and it had a lot to offer travellers and expats alike. We met an American couple who moved to Medellin and purchased a beautiful apartment and they were very happy with their lives there. 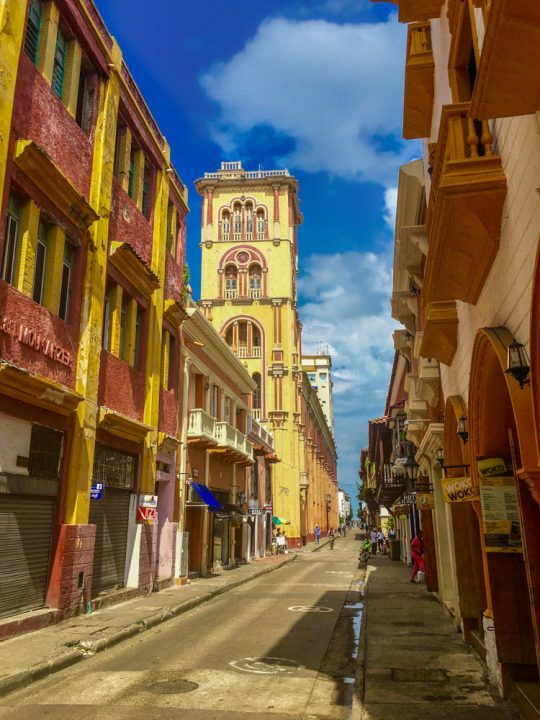 If we were to move to Colombia, we’d likely choose the beautiful Caribbean coastal town of Cartagena, or perhaps Medellin due to its entrepreneurial scene. We did some apartment shopping in Cartagena and while it’s hard to find anything in the old town for under $1500 / month, there are some lovely apartments along the beach for under $1000 and further away from the coast for $500 or less. 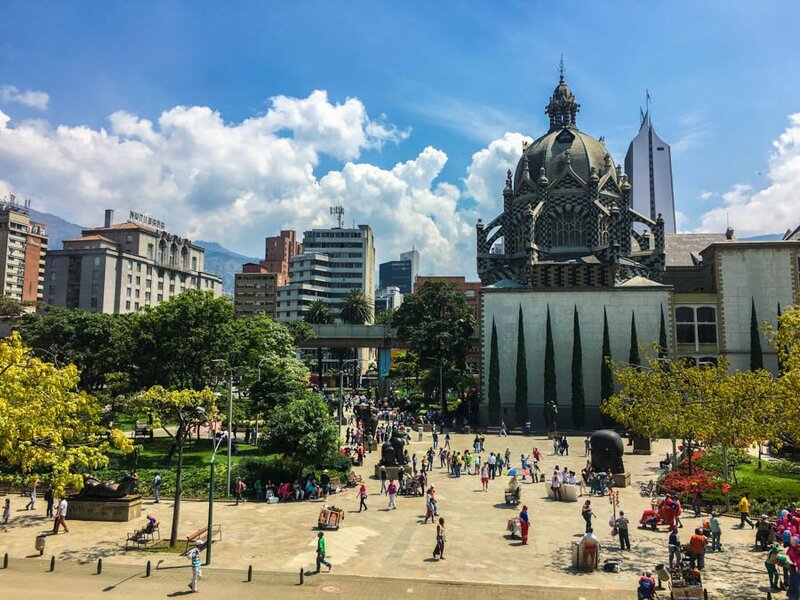 There are so many things to do in Colombia and now, with budget airlines like Wingo and VivaColombia opening up, it’s actually quite affordable to fly both domestically and internationally from Medellin and Bogotá. Cartagena: Too Touristy, or Justifiably Popular? Visa Situation: 90 Days on arrival. Extend for 90 more days for $100 or border run to Argentina. After travelling around South America for a few months, we decided to rent an apartment in Valparaiso, Chile. Just an hour from the capital of Santiago, Valparaiso is an edgy and colorful bohemian port city with enough going on to spend a few months. This town is hilly, so if you choose to live here, you’ll likely shed some pounds just walking to and from the grocery store. There are some areas that you have to be careful here, but we mostly hung out around Cerro Concepcion and didn’t stay out too late. There are also buses to pretty much anywhere, taxis on every corner and UBER works great here, so if you’re ever nervous about walking in the dark you always have other options. 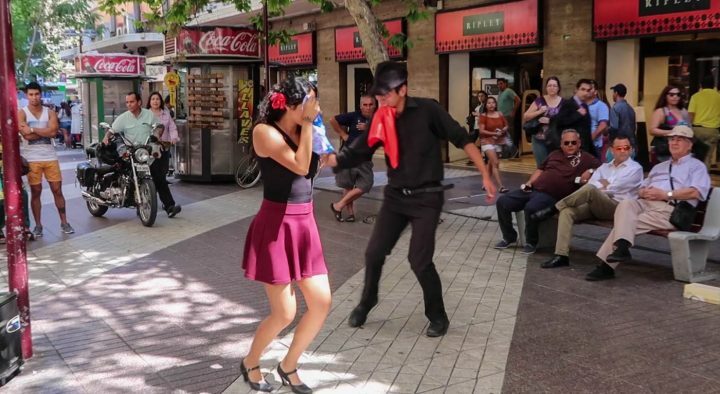 Dancing on the streets of Santiago. This city had a great vibe. We enjoyed the funky vibe of Valparaiso and there were a few good restaurants and cafes. The wine is tasty (not as good as Argentina in our opinion) and the streets are covered in graffiti and street art. Cheap domestic airlines like Latam and Sky make it really easy to hop down south to Torres Del Paine National Park or up north to the Atacama Desert, all with a stop in the capital of Santiago. We also liked Santiago a lot, but we found that Valparaiso was more charming and had better prices on apartments. We rented a nice 1 bedroom with a stunning view over the natural harbour for around $800 / month, but there were much cheaper ones available, particularly in less central neighbourhoods. If we were to move back to Chile, we’d return to Valparaiso for sure. If we had to choose one place to live in the far south of South America, it would be Mendoza, Argentina, but it didn’t quite make this list because it’s a little bit out of the $1,000 / month range. Visa Situation: Visa free entry for 1 year. Georgia is quickly becoming one of the world’s new digital nomad hotspots. Largely due to the excellent visa situation and online working visas available. You can arrive in Georgia and get stamped for 1 year, plus you can apply to open businesses here and get fast tracked to citizenship. Many mobile entrepreneurs choose to open bank accounts and companies in Georgia, and it’s easy to see why. 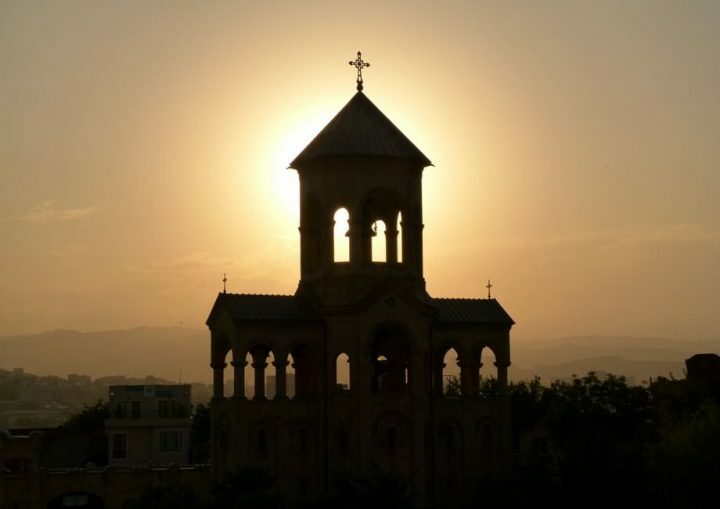 Not only do the local immigration laws help make it a desirable destination, but also the city of Tbilisi is fantastic and the surrounding countryside is stunning. We visited here back in 2011 and really fell in love with the city of Tbilisi. It was one of the first places we visited while we were full-time travellers that we actually considered living in. It’s relatively progressive, modern but with ancient touches, well laid out and oh so much fun. Tbilisi remains one of our favourite cities in the world and while the surrounding countryside in Georgia is what most travellers prefer to explore, if we were to live there we’d set up roots in the capital for sure. If you love wine, funky bars, beautiful architecture, stunning old churches and decent wi-fi, excellent value for money and a young, fun vibe, then Tbilisi is likely one of your best choices in Europe. We did a considerable amount of apartment shopping in the capital and strongly considered moving to Tbilisi before eventually deciding on Grenada instead as a long-term base. We were mostly looking on Airbnb and even though that platform is known to have inflated apartment prices, we still found some amazing looking 1-bedroom places in a good area of town for under $500 / month! If you bump your apartment budget up to $1000 per month, you can start getting into some real luxury, especially if you’re signing a year-long lease and not going through a vacation rental website like Airbnb or VRBO. With a growing digital nomad crowd, blazing fast wi-fi, decent flight connections and plenty to see and do, Georgia is many digital nomads first choice in Europe. Visa Situation: 90 days on arrival. No more than 90 days / 6-month period. There’s just something about Bulgaria. Perhaps it’s because the locals are so ailak (a Plovdivian word for chilled out), or maybe it’s the fact that the vineyards here produce some of the best wine we’ve ever tasted. Whatever it is, we really didn’t want to leave Bulgaria. Our favourite place for sure was Plovdiv, but many people choose to live in the capital of Sofia. This village / city had such a youthful, fun vibe and we were there during the winter, when most things are closed, yet still we loved it. During the summer months, we were told that the city comes alive with wine festivals, parties, concerts and street markets. 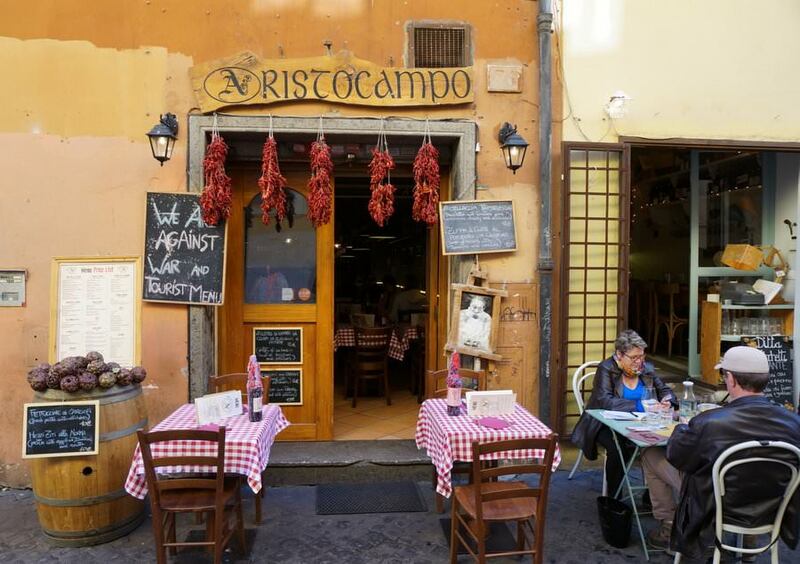 The nearby vineyards are just a quick drive away and there are plenty of old world wine shops and wine bars in town to taste the local varietals. One of the things we loved most about Bulgaria is that, while the wages aren’t particularly high compared to other European countries, the cost of living is so low that most Bulgarians are able to afford a pretty great life and you often see them out for lunch and dinner because the restaurants and bars are so affordable. 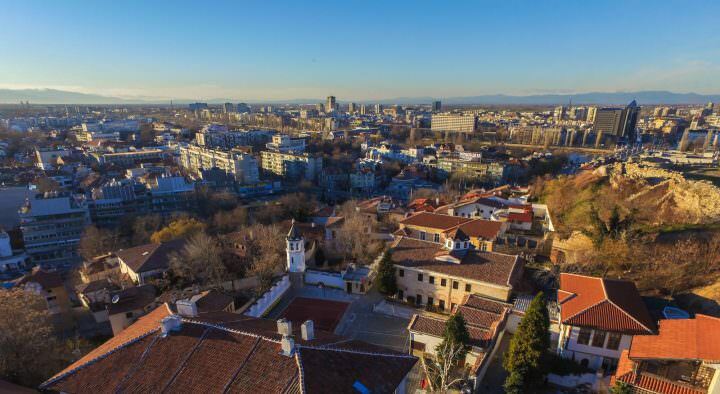 We also considered moving to Plovdiv for a temporary base last year and when shopping around for apartments, we were amazed at the value for money. Depending on where you choose to live, there are plenty of apartments in Plovdiv for under $500 on Airbnb. A local friend of ours told us that Airbnb is a rip-off in Plovdiv and if we ever wanted to book one, to check the local Facebook groups and real estate agents to find a better deal with a 1-year lease. I’m sure you could find a very nice 1-bedroom apartment in Plovdiv, outside of the old town for $400 per month. Croatia is actually one of the more expensive countries on this list and you would probably be a bit pressed to live on $1,000 in Dubrovnik or Zagreb, but we lived in a nice apartment in Split for 2 weeks and found it to be of a decent value. Our small one bedroom place cost around $800 / month, but you could easily find places for quite a bit less if you were to go a bit further away from the old town. Numbeo says there are apartments for $275 per month, but we weren’t able to find anything livable for less than $400. 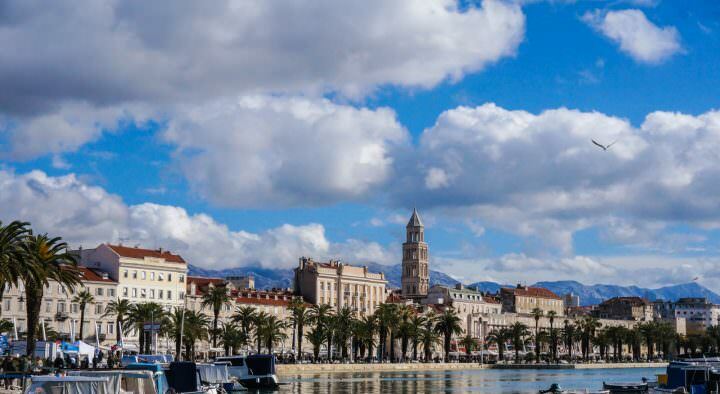 Split is a beautiful city set right on the Mediterranean sea. The best part of it really is the old town which looks like something right out of Game of Thrones (most of which is filmed in nearby Dubrovnik). In the theme of keeping under $1,000 per month, you wouldn’t be able to go out for dinner all that often because many restaurants (even on the budget end) charge around €18 – €20 for a meal. We did find one nice little family run place called Konoba that served up delicious sandwiches, soups and stews for around €12. When we lived in Split, we would get lost in the breathtaking ancient town or climb up the nearby Marjan hill to have views over the town and the harbour. There are plenty of nearby beaches and islands, lots of sites and a very large expat community here. There are a few Facebook groups for Split where locals and expats meet up and plan events. With super fast wi-fi, great restaurants and bars, a good nightlife scene and plenty of expats, Split is definitely a underated nomad hot spot that you may want to check out. Visa Situation: Schengen Visa. Max 90 days in any 180 day period. As far as value for money goes, I think Greece probably takes the cake on this list. Indonesia has the most accommodation options, but it’s kind of expected to have great value for money in Asia. If you’re looking to live in Europe, but enjoy the lower prices of Asia and Central America, then Greece is the place for you. With so many islands to choose from, I would really have a hard time deciding where to live in Greece. Crete, Santorini, Athens, Kefalonia, Chios, Lesvos, Corfu and Ios… how could one decide? We rented an apartment in Zakynthos and loved it. The only downside to this stunning Mediterranean island was the garbage that was piling up because there was no proper disposal in place on the island. 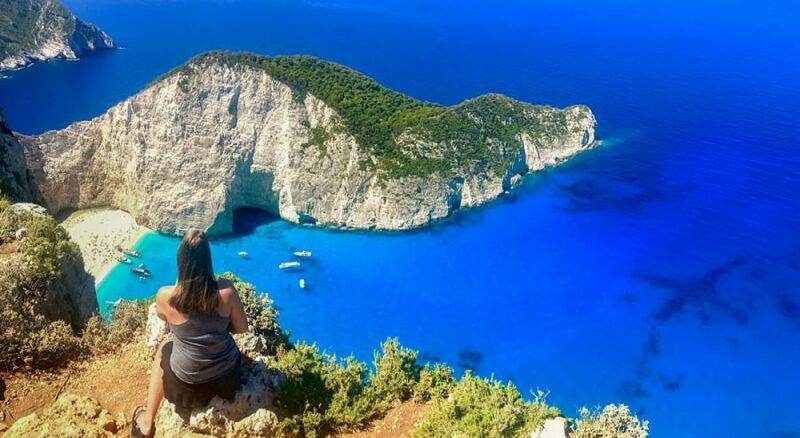 Aside from that, I would definitely move back to Zakynthos. Our modern studio apartment here was just $20 / night (we paid a nightly rate because we didn’t stay a full month) and I’m sure that if we told the owner that we wanted to stay for a month or more, we could have got it down to $400 or less per month. The same goes for pretty much every island in Greece, particularly outside of the high season. We’ve found amazing apartments even on Booking.com and Airbnb for under $20 / night or $400 / month. Amazing. On top of that, the food in Greece is incredibly good value, especially considering the meal portions are massive and you are often given free appetizers and deserts with every meal. The weather in Greece is perfect. It gets extremely hot in the summer, but the winters are mild, especially compared to our home country of Canada! With so much history, culture, wine, olive oil, cheese and likely the most hospitable people we’ve ever met in our travels, Greece is one of our top choices for digital nomads. The only issue is the wi-fi, which can be a bit slow in some places. If you do choose to live in Greece, consider upgrading your wi-fi to the fastest possible plan and always have a SIM card with 4G internet in case your landline goes out. We’ve tried to move to Portugal on two separate occasions and for some reason it has never worked out for us. There always seems to be something that comes up or our plans just don’t pan out. 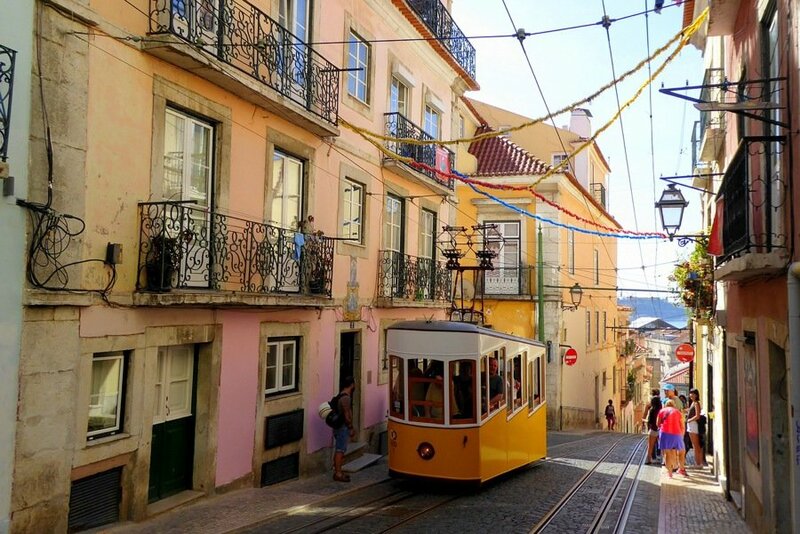 This last time, we had shopped around for apartments in Lisbon for months and when we finally found one we loved, it turned out to be an Airbnb scam that nearly cost us $3,300! During our months of shopping however, we found a beautiful 2 bedroom place a bit outside of town for $700 per month, but there were smaller one bedrooms for far less. To stay under $1,000 per month while living in Lisbon would be hard. You’d have to live a bit further out of town in a studio or 1-bedroom and take local transport a lot (or walk), only going out for meals once or twice per week. Nevertheless, Portugal has to make this list because it’s one of the top choices for digital nomads these days. The wi-fi is fast, there’s a massive (and growing) expat community, there are great restaurants, tons of nightlife and blazing fast wi-fi. There are also some lovely coastal cities and beaches within a 2 hour drive of the capital and excellent flight connections mean that Europe, Asia, North and South America are all within reach. One day we’ll make it to Lisbon and we’ll stay for a few months. Keeping this list down under $1,000 really limited some great places that are a bit more expensive, but definitely worth considering if you’re looking to spend an extended period of time in one place. Destinations like Malta, Italy, Spain, Argentina and Berlin in Germany definitely make our list of favourite places in the world to live, but in most cases it would be too difficult to live on under $1,000 per month in these countries. The prices that we listed in this article for rent are mostly on vacation rental prices, so if they seem a bit high, just know that you can definitely get lower prices if you sign a 6-month or 1-year lease, rather than booking shorter-term. The main things we look for when considering a place to spent a few months is nature, restaurants, activities, expat community, wi-fi, bars and overall vibe. Different people will definitely have a different idea of what makes the ideal temporary home. 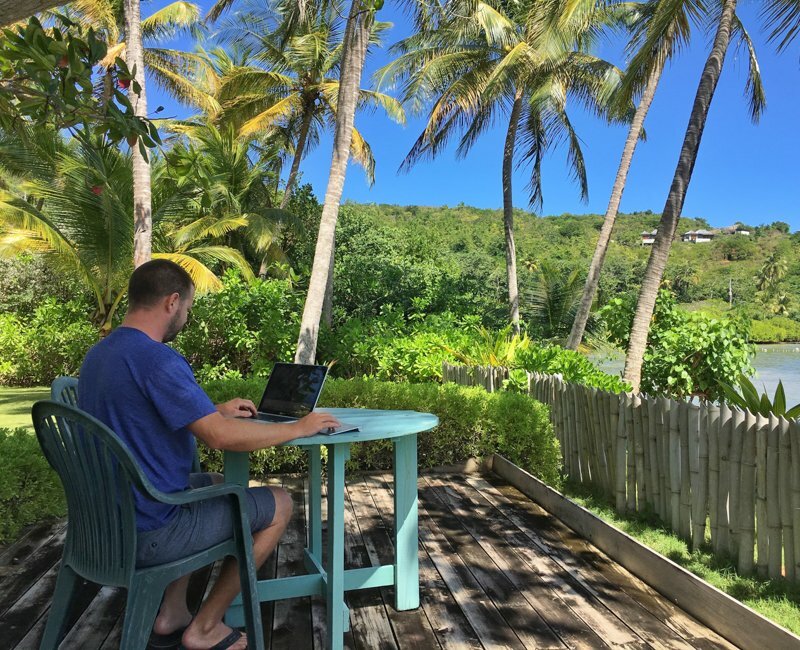 The great thing about being a travel blogger and living the life of a digital nomad is that you can live pretty much anywhere you want. Deciding on a new temporary base is just as fun as planning your next big trip! What neighbourhood will you choose, where will you meet new friends, what local culture will you fall in love with, where will you eat and what will your apartment be like? These are all things that make finding a new home a thrilling experience. By keeping possessions to a minimum and spontaneity to a max, you can easily move every couple of months and experience a new adventure wherever you go. These are just a few of our favourite places to live in the world. What are your favourites? Share in the comments below and let us know why you enjoy those places, what the internet speed is like and how much you spend per month! The post 15 Countries Where You Can Live on $1,000 Per Month or Less appeared first on Goats On The Road.